Finished mixing The Frozen Gound today. 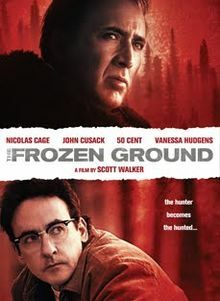 It’s based on a true story and Cusack is great as the bad guy. I mixed this one all in the box using a combination of Cubase for the synth and sound design elements and Pro Tools for the live instruments and orchestra. I’m really enjoying mixing with the sequencer. It’s always fun working with composer Lorne Balfe.